When Beverly Hills Cop became a downright hit in 1984, a follow-up became inevitable. At first, the idea of a TV series surfaced, but that was quickly shut down and a film sequel began production. 1987: Beverly Hills Cop II. Axel Foley (Eddie Murphy, Trading Spaces, A Thousand Words) is deep undercover back in Detroit to stop illegal credit card scammers when he hears that Lieutenant Bogomil of Beverly Hills has been gunned down by a group of thieves for getting too close. Now it’s off to Beverly Hills to stop them, with the help of Billy Rosewood (Judge Reinhold, The Santa Clause, Dr. Dolittle: Million Dollar Mutts) and John Taggert in this sequel from action director Tony Scott (Top Gun, Man on Fire). 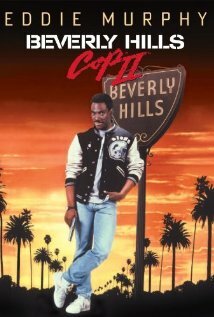 First of all, how does this sequel compare to Beverly Hills Cop? It isn’t technically better, but it is bigger and a little crazier. The level of believability is pushed pretty hard a few times in this film, particularly during a high-speed chase involving a cement mixer. Eddie Murphy, Judge Reinhold, and John Ashton are a great action-comedy trio, providing laughs that come from the story rather than just jumping out of thin air. Jurgen Prochnow (Das Boot, Beerfest) and Brigitte Neilsen make some great villains as well. I happen to love the Academy-Award Nominated song “Shakedown” and I think it adds to the musical score without completely redefining it. The great qualities of this film come from the fact that the great parts of the original film are kept intact while getting a fuel-injection of energy. Tony Scott knows how to direct action, and he knows how to let the actors do the work. 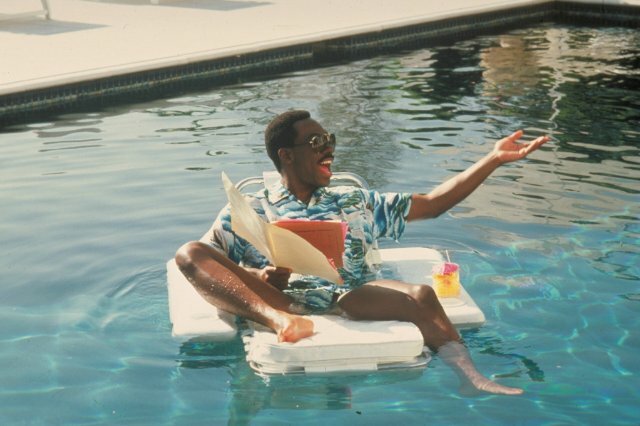 Now, is Axel Foley the next James Bond? Perhaps not. Axel Foley is a fantastic character and Beverly Hills Cop is a fantastic series…also “Shakedown.” “Shakedown” is awesome. That too. 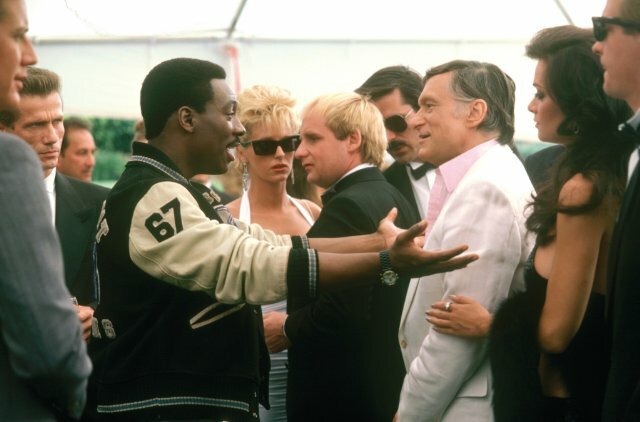 For my review of Martin Brest’s Beverly Hills Cop, click here.